Each year a number of work groups, the majority of which are from the Reformed Church in America, converge on the Annville Institute campus to lend a helping hand to people in need including those who are elderly, widowed or sick and unable to help themselves. The group sizes range up to twenty people. Teams stay in the dorm facilities and eat their meals on campus. 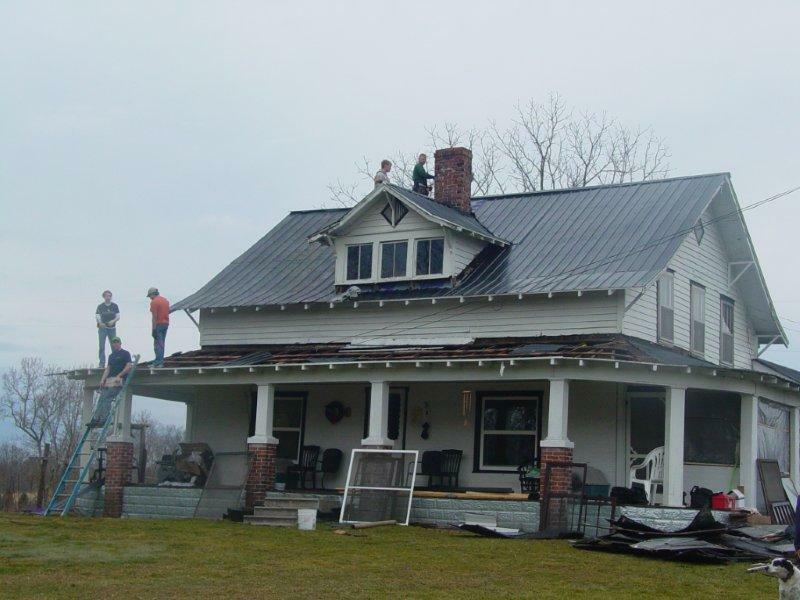 The service projects range from house construction to house repair, plumbing, painting, electrical work, roofing, or whatever needs to be done to make life a little better for the home owner.Projects are located in Jackson and three surrounding counties, within thirty miles of Annville. The families are encouraged to pay for the materials with all labor donated. A fund is in place to provide for the materials when families are unable to pay. During the work project members of the group are able to share the love of Jesus Christ through their words and deeds. Most people are very appreciative and find it hard to understand why volunteers so cheerfully donate their time to help others.There is also time for recreation including canoeing, basketball, softball, swimming, campfires, singing, staff skits, etc. Groups leave with many good memories and a new insight into the call of missions.
" During the work project members of the group are able to share the love of Jesus Christ through their words and deeds. " 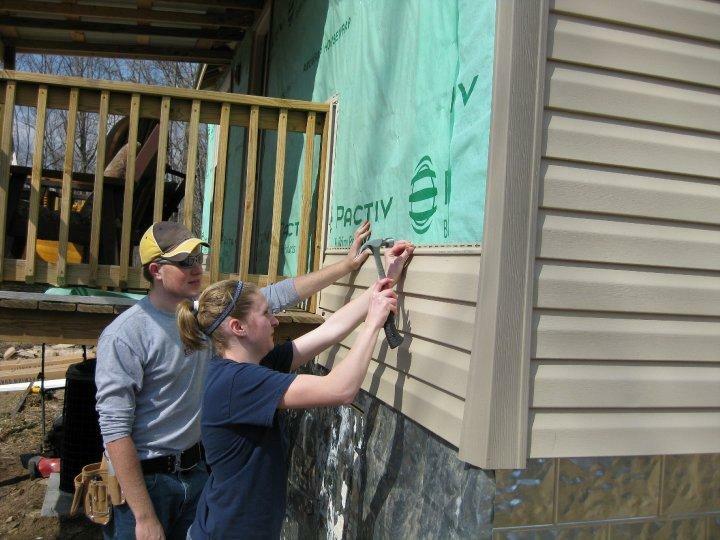 Many volunteers offer of their time to help make home repairs to those in need in our service area. If your group is interested in volunteering or you are in need of some repairs you can call the office at 606-364-5151.